Unless you have been living under a rock, in a rock garden, you should be well aware of the outstanding 50,000 point SW Air card after spending $2,000 is set to expire on the 30th i.e. you must apply by the end of the day today! Will it be back? It has in the past, but we have not been told. Do keep in mind that Chase will match a better offer inside 90 days but NOT one that is expired! 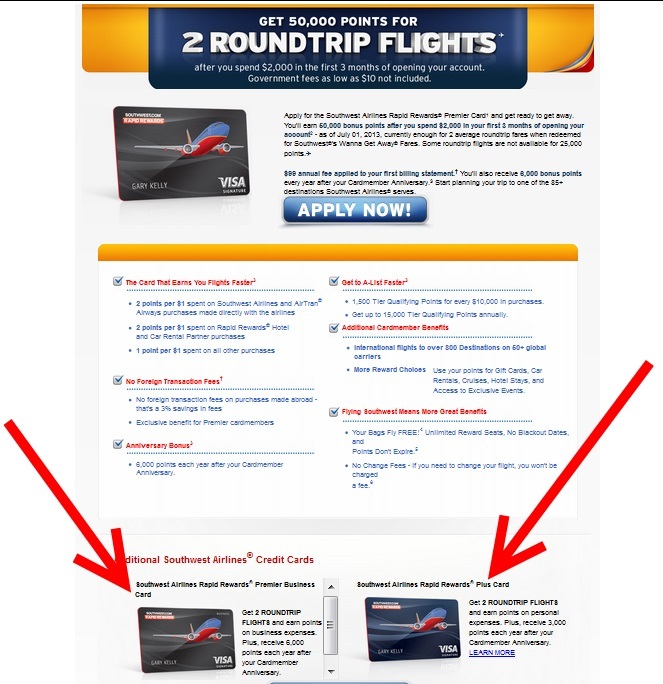 There are 4 cards that are different products and you can use them for travel or even to cash out for other things if you are like me and want to never set foot on a SW air jet! Reports are good for getting a personal and business on the same day from many readers. @Gene – there are 4 cards, each offer 50k. Thus, there is 200,000 on the table.